It wouldn't really be a Kate's Closet beauty favourites, without being skincare heavy.....for me that feeling of freshly cleansed and moisterised skin is one of life's little pleasures. 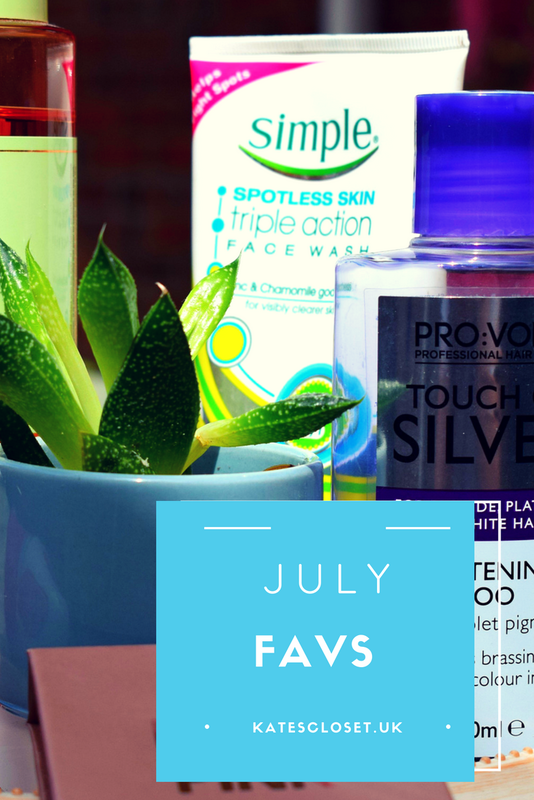 As I subtly hinted earlier, this months favourites features, of course skincare, you may of caught my post awhile back on Simple skincare, well I have added yet another simple product into my daily routine. Simple spotless skin triple action face wash helps with those pesky blackheads, I use it in the morning with my magnitone to keep my face blemish free. 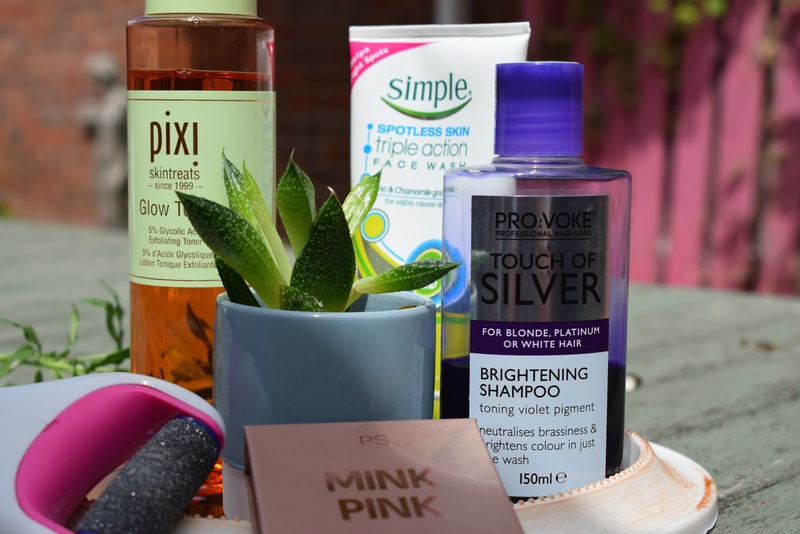 I also mentioned in June's favourites, I had been enjoying a mini Pixi glow tonic, well I enjoyed it so much I treated myself to the full size bottle, and although it is on the pricey side, I can really see and feel the difference in my skin, making it worth the money in my opinion. Hair care wise, I still use my regular shampoo and conditioner, but have added in a purple shampoo too, on the advice of my hairdresser. 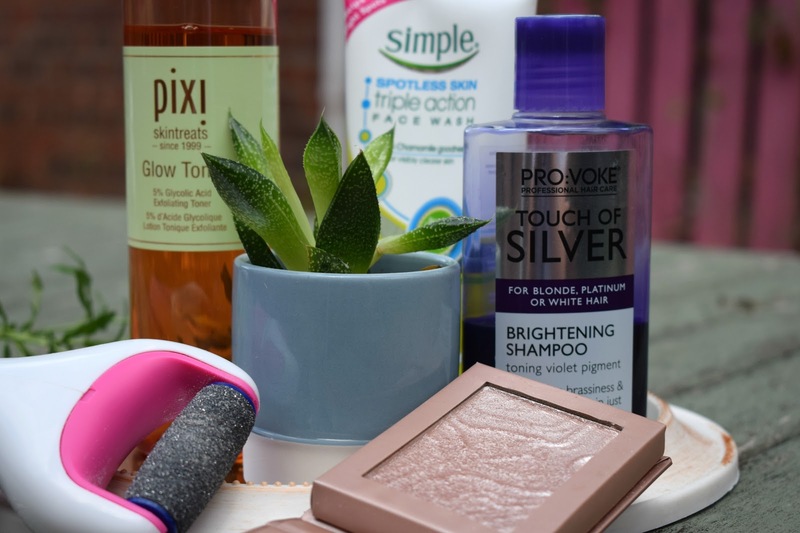 My blonde balayage can get a little warm toned and this Pro Voke shampoo helps to bring the coolness black to my blonde, and it's cheap as chips. Come the Summer my tootsies are out none stop, so I like to keep on top of dry skin with my Scholl electric hard skin remover, this thing is a life saver in the warmer months, keeping my feet in tip top condition. 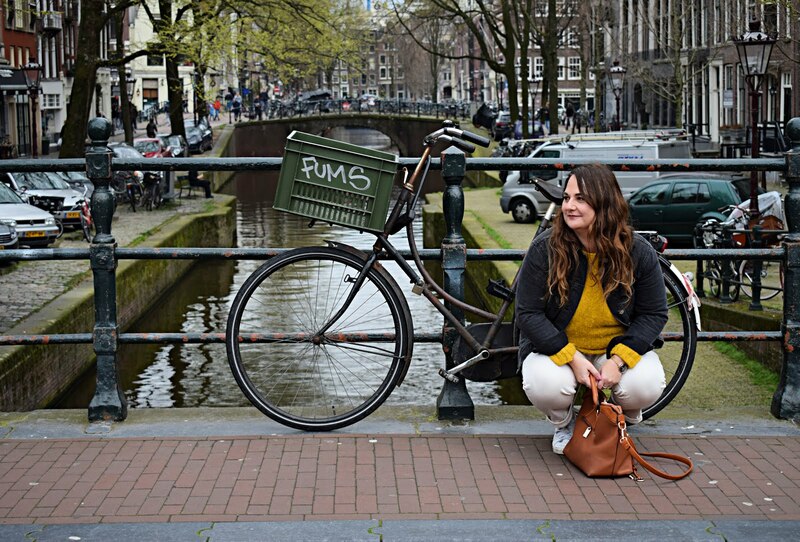 Lastly, if you can't get your glow on in summer when can you? 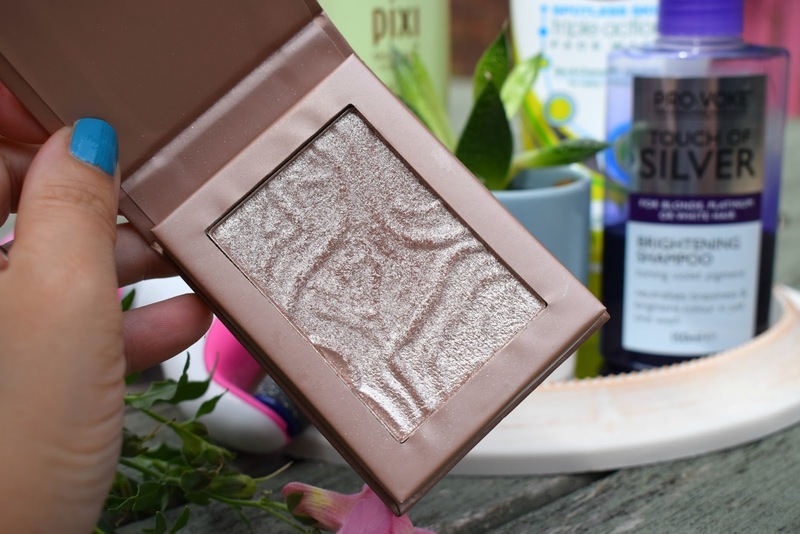 and I am loving this total bargain highlighter from none other than Primark, for £2.50 what a banging bargain!!! Great picks! I also use the Simple triple action face wash at the moment, it works well for me and doesn't irritate my skin!